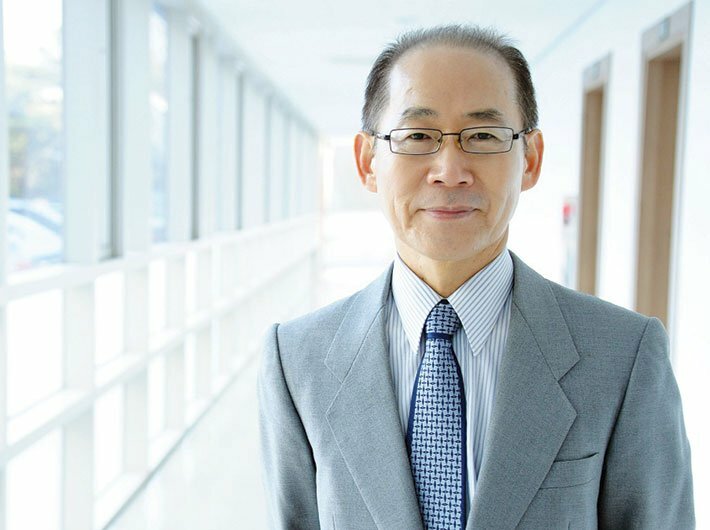 Dr Hoesung Lee was elected the chairman of the Intergovernmental Panel on Climate Change (IPCC) in October last year in Dubovnik. He replaced RK Pachauri who headed the panel for 13 years and was forced to step down after allegations of sexual harassment. Dr Lee was a long-serving vice-chair of the organisation before his election as its chief. The 69-year-old South Korean is a professor of economics and climate change, energy and sustainable development at Korea University’s Graduate School of Energy and Environment in Seoul. A well-known figure in the field of climate science in South Korea, he was the first head of the Korea Energy Economics Institute (KEEI) in 1986. He also led the Korean Resource Economics Association from 1988, and the International Association for Energy Economics from 1999. He is widely credited for making enormous contributions to South Korea’s environment-related policies. In an interview with Shreerupa Mitra-Jha, Dr Lee emphasises on the need for more scientists from developing countries as authors for IPCC. What hopes and expectations do you have from your seven-year term as the IPCC chief? In the last few years the IPCC released the Fifth Assessment Report, the most comprehensive assessment of climate change undertaken so far. That report played a key role in the successful negotiation of the Paris Agreement, by providing policymakers with scientific evidence for climate change, its impacts, risks and options for tackling it. Now the challenge for the IPCC, as we start work on our next cycle of reports, the Sixth Assessment Report, is to respond to the Paris Agreement and its implementation. That means that the IPCC, while continuing to examine the facts of climate change, especially at a regional level, will place a bigger emphasis on the solutions to the problem so that we can be still more policy-relevant. To do that effectively, we must work with our members from all regions and with all our stakeholders. For instance, we must enhance the involvement of scientists from developing countries in our work. And we must work more closely with the business community to draw on their expertise and experience. The Assessment Report for 2014 paints a grim picture: with about half of the anthropogenic CO2 emissions between 1750 and 2011 occurring in the last 40 years, it is likely that human influence has more than doubled the probability of occurrence of heat waves in some locations. The period from 1983 to 2012 was likely the warmest 30-year period of the last 1,400 years in the northern hemisphere. Are these changes reversible? The last IPCC assessment was quite clear. To limit the rise in global temperatures by the end of the century to 2ºC over pre-industrial levels would require greenhouse gas emissions to fall by at least 40% by 2050 compared with 2010, and for emissions to reach net zero by the end of the century. The assessment also shows that we have the means to do that and the Paris Agreement shows the global community is ready to do so. But the longer we delay taking action, the harder and more expensive it will be. In what stage is the Sixth Assessment Report? What patterns do you see emerging? The new leadership of the IPCC that was elected in October is making good progress on the preparations for the Sixth Assessment Report. The co-chairs of the three working groups are setting up their technical support units, which provide logistical and scientific support to the authors to carry out assessment. We hope these will be up and running in the next few months. And the co-chairs are examining 31 proposals for special reports that would be produced in the next few years to see which topics have the most scientific rationale for further consideration. (Remember the IPCC is an assessment body, and we do not carry out original research. So we can only produce an assessment report if sufficient scientific literature on the subject has already been published). We only have the capacity to produce a few special reports in addition to the full assessment. The next session of the panel, in Nairobi in April, will decide which special reports to produce and agree the timelines for work for the coming years so that we can start to scope out the reports – i.e. agree their outline and table of contents – and start to select authors. Crude oil prices have been falling for a while now. How does that augur for your concerns regarding climate change? I would like to see more research to the extent to which this reflects cyclical fluctuations in the market or is part of a long-term trend. Speaking as an economist rather than as chair of the IPCC, I would note that forms of renewable energy such as solar continue to improve their technological and economic viability. I also see growing regulatory pressures on investments in the oil sector, for instance some countries are requiring, or planning to require, companies to disclose their exposure to carbon emissions as part of their financial reporting. You mentioned that the private sector will be involved as part of the solution to climate problem during your tenure. How so? Do you see the private sector agreeing to the policy of carbon pricing that you have been advocating? Neither I nor the IPCC in general advocate particular policies or make recommendations. What we do is lay out options that policymakers can choose from in order to meet the policy goals that they themselves have set, such as a limit to the rise in temperature. Putting a price on carbon would make it easier to allocate the use of carbon when we are considering a finite carbon budget in the context of limiting the rise in temperatures. That’s just simple economics. Many of the practical steps responding to climate change will be taken by businesses through their investment decisions. And many businesses are already doing a lot of work on climate change and sustainability (including their own modelling in some cases) as part of their business planning as they respond to existing or future impacts of climate change. So the IPCC needs to access their experience and expertise. At the same time, for our reports to be policy-relevant, we have to understand the priorities and concerns of our users. That is what we mean when we say we will work more closely with business and the private sector. You had mentioned in an interview that you will focus on innovative economic policies that can not only bring about reductions in greenhouse gas emissions but also can increase economic opportunity and raise millions of people out of poverty. Is it too good to be true? Firstly, as we decarbonise the economy in response to climate change, new technologies will emerge (and are already emerging) in transport, energy, construction, agriculture and so on. These will provide new business and employment opportunities. And secondly, many measures responding to climate change bring co-benefits. For instance, disaster prevention can improve resilience in communities generally and changes in energy sources can benefit public health by improving air quality. This all helps lift people out of poverty. You have advocated large scale use of carbon capture and storage. What are the present impediments to that? Again, we don’t advocate anything. But the IPCC’s last assessment shows that most emissions scenarios compatible with limiting the rise in average global temperature to 2ºC typically involve carbon capture and storage, while negative emissions for the electricity sector are possible with a combination of CCS and bio-energy (BECCS). Do you see renewables becoming more affordable for least developed countries (LDCs) and developing countries in the short term future? Renewables are becoming more affordable generally and so also for developing countries and LDCs. China is already one of the leading producers of solar energy materials. There are business opportunities for developing countries here, particularly in the deployment of renewables in the specific conditions of developing countries. How can countries like India play a more active role in the IPCC? There are several key areas in which developing countries can play a more active role. Firstly, there are many regional gaps to our knowledge of climate change and its impacts as well as options for tackling it. We need scientists in developing countries to publish their research in peer-reviewed journals so that it can be included in IPCC assessments and help us close those gaps. Then scientists from developing countries – across the whole spectrum of disciplines in the IPCC, from atmospheric physics to agriculture to economics, and many more – are under-represented in the IPCC author teams. We urge developing countries to nominate their best scientists in all disciplines as IPCC authors. And it would be good to see more people from developing countries taking part in the expert reviews of our reports. To register as an expert reviewer requires a self-declaration of expertise; you don’t need particular qualifications or a publication record. So anyone who has something to contribute is welcome. Actually India itself has been quite generous with its scientists. We had about 50 Indians on our author team for the Fifth Assessment Report. We hope that level of engagement will continue and grow. You have been widely credited for “cleaning up” South Korea. What advice can you give to a country like India which is struggling with high emissions and the lack of access to affordable technologies for better adaptation? It’s not for me or the IPCC to give advice to individual countries. But you often hear that developing countries face an apparent trade-off between climate change policy and development. The IPCC reports show that there is no conflict. You can mainstream sound climate actions into other policies and pursue sustainable development. To give an example, in the short term investing in a coal-fuelled power plant may offer an opportunity to bring energy to people and help lift them out of poverty. But in building that plant you are locking in that carbon-intensive infrastructure for its working life, for decades. You may not have considered the grid and transmission costs to deliver power from that plant to rural areas: have those investment costs been factored in? And what about the health and other environmental costs that will arise from pollution by burning coal? These costs should be compared with the costs of small-scale renewable investments that may allow you to reach a wider population. In other words, you need to look at all the costs and benefits, and see the big picture. And I repeat, there are particular challenges and opportunities to deploying renewables in the various specific contexts of developing countries. Developing countries themselves can be at the forefront of developing these technologies.